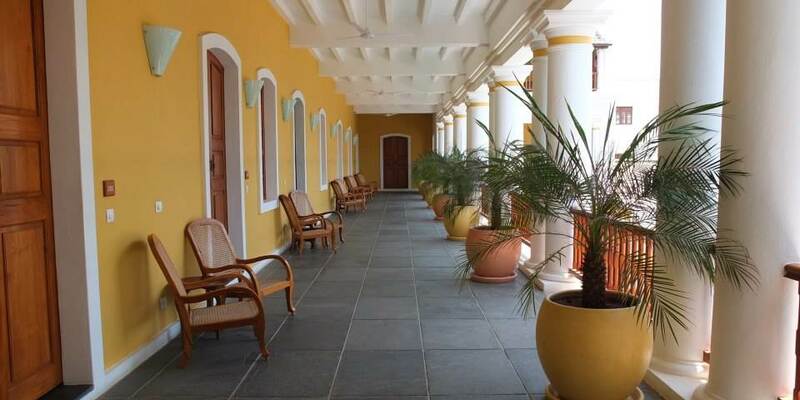 Only 50 metres away from the beach and the famed promenade; Palais de Mahé is situated in the heart of the French Quarter of Puducherry, a delightful old town formerly known as Pondicherry, on the Coromandel coast of South East India, a 3 hour drive from Chennai. A menu comprising delicious modern Indian and continental cuisine is served in the restaurant on the second floor, where there is also a terrace offering panoramic views over the sea. On the ground floor the Café serves coffee, fresh fruit and vegetable dishes. 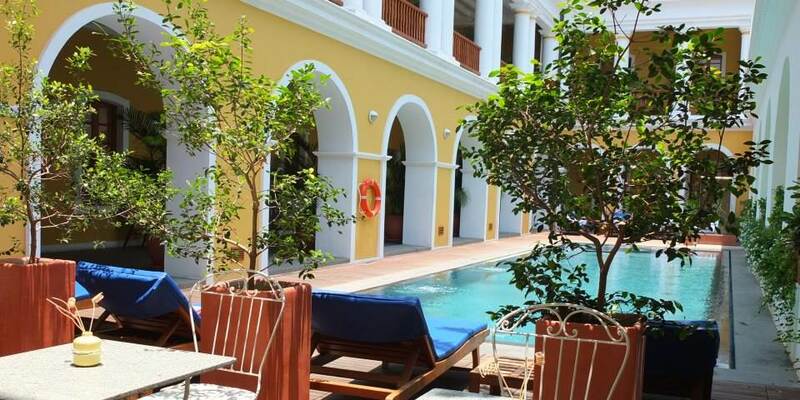 This is the perfect base from which to explore the charming town of Pondicherry, which still retains a strong feel of French culture with wide boulevards lined with colonial architecture, a promenade and even French style bakeries selling traditional bread and pastries. Although it is many years since the end of the French colonial rule, many reminders of the past are still evident with a “hotel de ville” or town hall and local policemen still wearing the red kepi or cap. Palais de Mahe has bicycles and route maps and the staff will be more than willing to advise guests as to what they should see on their travels around the town. When guests return tired from their sightseeing they can relax by taking a refreshing dip in the swimming pool or by experiencing the Ayurveda centre where doctors are on hand for a consultation prior to a treatment or relaxing massage tailored to the guests’ individual needs. 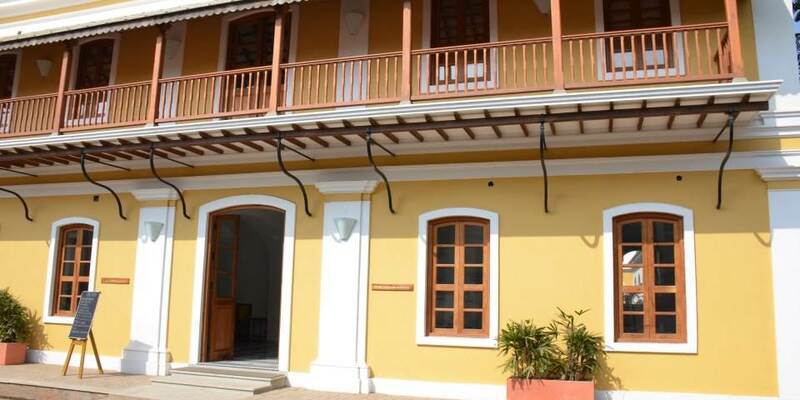 This latest boutique property from CGH Earth has just 18 rooms, which although new still succeed in reflecting the era of High French power in the region. 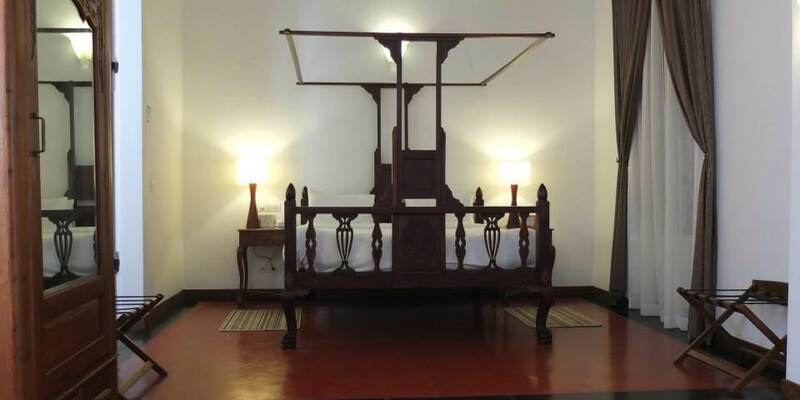 The colonnades, ceiling fans and courtyards pay homage to the colonial era and are complemented by period furnishings in the rooms, which in turn have every modern amenity.